The board uses the Hi-Link HLK-PM01 (Aliexpress) AC/DC that outputs 5V to up to 600mA from an 100-240VAC source. So the board is usable anywhere in the world. There are cheaper options but this one comes encapsulated and has very good reviews. Just before the transformer there is a crystal fuse in series and a varistor across input terminals. 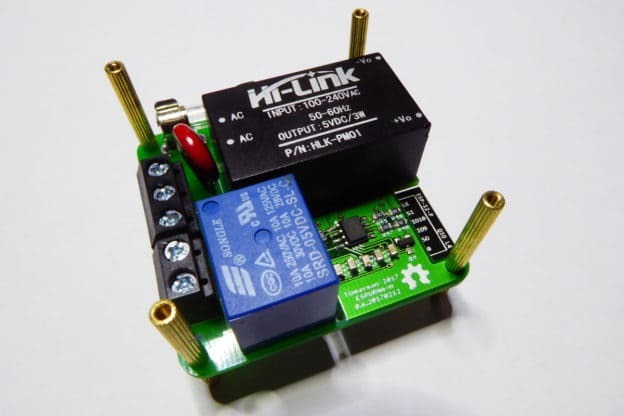 I’m also using the trustee Songle SRD-05VDC-SL-C (Aliexpress) single pole double throw relay that supports up to 10A current. The board brings out both normally open and normally closed terminals of the relay, which is very convenient when using it with multi-way switches. The relay is switched by a 2n7002 N-channel mosfet isolated from the controller by a PC817C optoisolator. 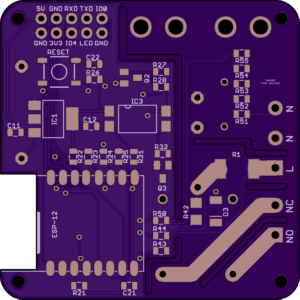 The controller can be any ESP12 module, in the pictures it is a ESP12E module by Ai-Thinker (Aliexpress). An AMS1117-3.3 (Aliexpress) does the step-down phase to power the ESP module, there is also a RESET button and a 2×5 header with the programming GPIOs and two connections for external button and LEDs. Finally the board is ready to add power monitoring circuitry based on the HLW8012 (Aliexpress), the same IC the Sonoff POW uses. The schematic is the same as in the POW, with a 1 milliOhm current sensing resistor and a 2350:1 voltage divider to monitor the AC voltage. 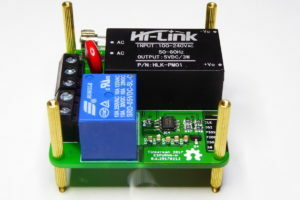 The HLW8012 requires that the power line should be tied to the circuit ground. 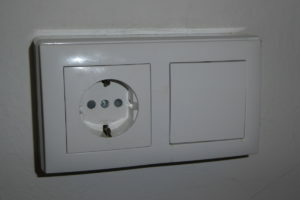 This means that you should never ever connect the board to your computer while connected to mains. Never ever flash the board while connected to mains! Please note that you will be using this board at your own risk. This product is meant to be plugged to mains and it requires a deep understanding of the perils of it. I disclaim any responsibility, risk, liability and damages arising out of death or personal injury resulting from assembly or operation of this product. 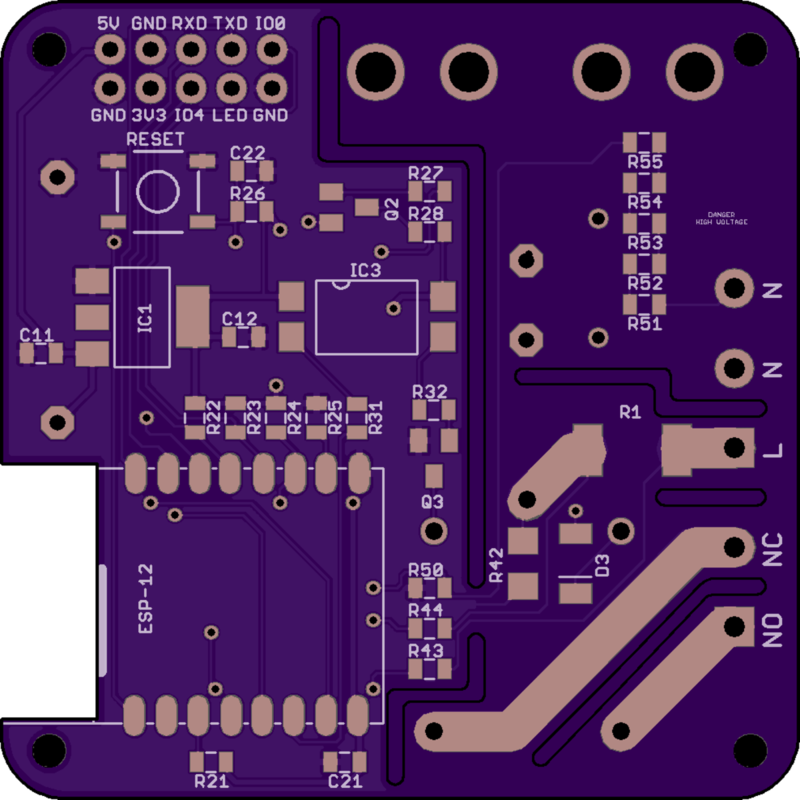 The board is ready to use an external switch or push button to trigger the relay. But I wanted to keep as much as possible of the original switch enclosure and I didn’t want to drill any holes on it. 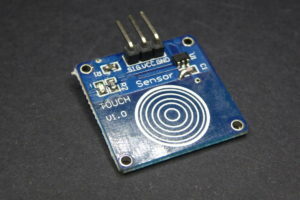 So I started doing some tests with touch sensors like the one below. This one is a TTP223B Module Capacitive Touch Switch (Aliexpress) that sells for less than a euro shipping excluded. 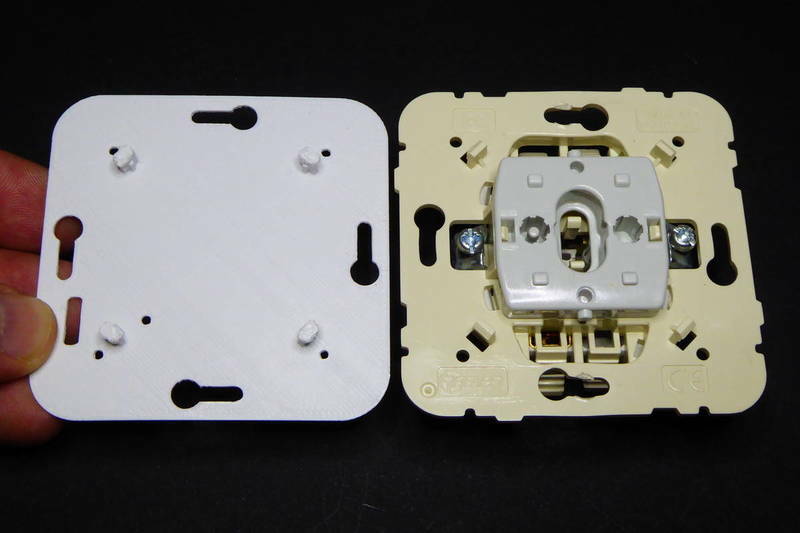 The sensor board fits tight in the back of the front plate of the switch and it “feels” the contact across the plastic just fine. The switch is easy to configure from the ESPurna firmware, just define it as a BUTTON_PUSHBUTTON with no pull-up since it’s a normally low sensor. 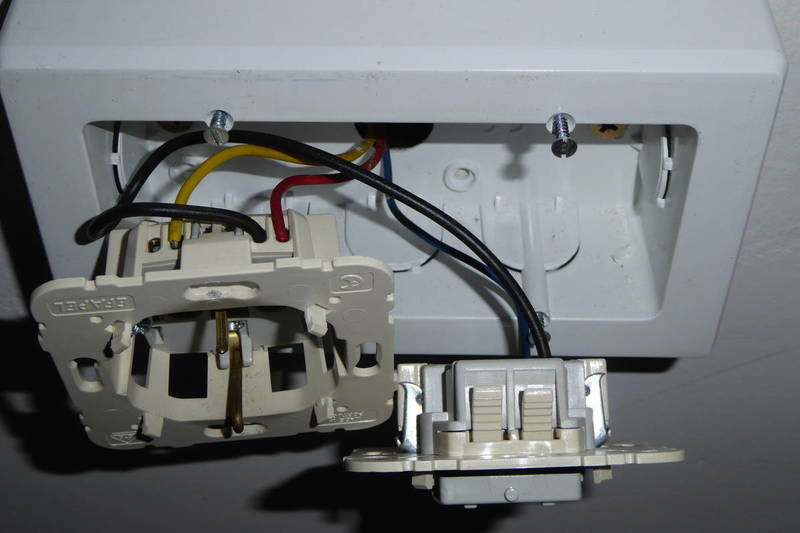 Another issue I had to solve was how to replace the inner mechanism of the switch with the ESPurna board so it stays put in place. 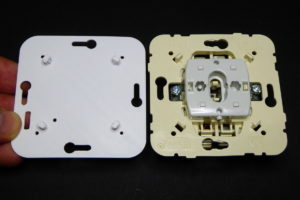 The switches have a plate that is tighten to the wall switch enclosure and fixes the mechanism of the switch. The same plate has 4 pegs that clamp the switch bezel. I decided to test doing a 3D printed plate with the same dimensions and functionality, holes to screw it to the enclosure, holes to screw the ESPurna board behind it and the pegs for the bezel. I also added a hole to reach the reset button and a window for the cables for the touch sensor and the LED. Once everything was ready the first installation was easy peasy. One important requirement is that you need to have both line and neutral wires on hand to power the board. Some switches only have one of them. 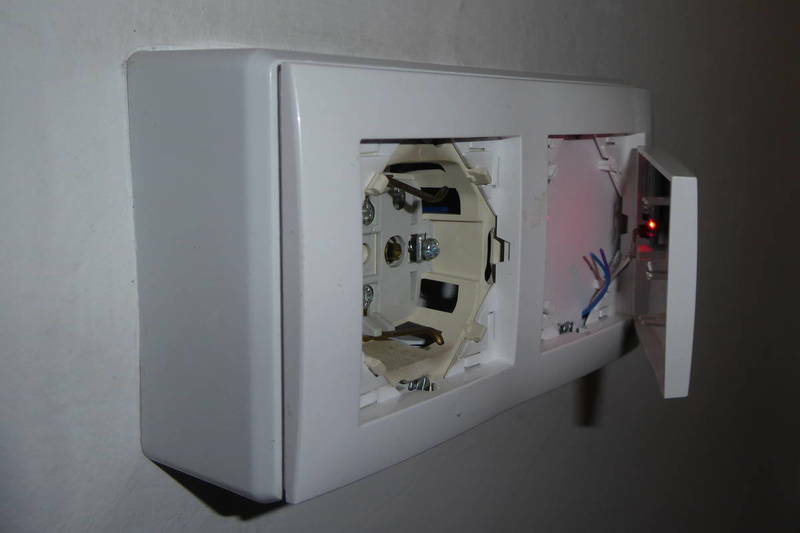 In this case I had a plug and a switch on the same enclosure. I used the cables powering the plug to power the ESPurna board. 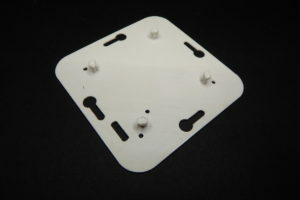 The enclosure with the bezel in place. 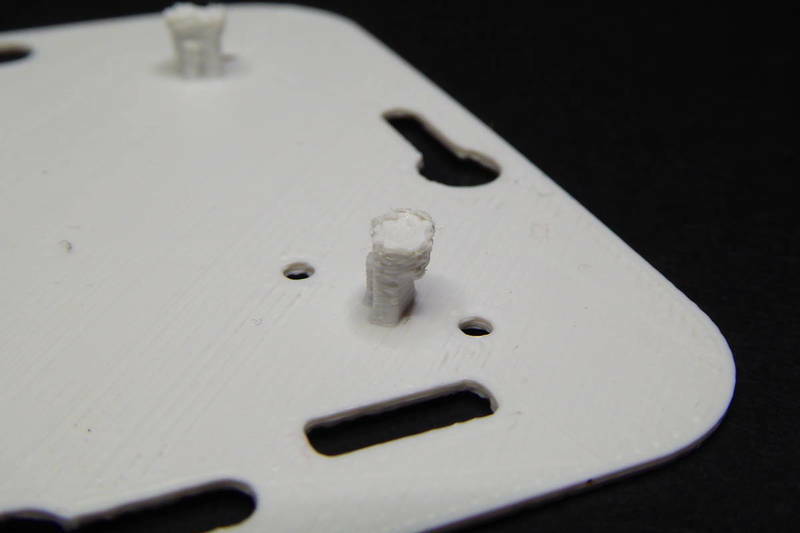 The 3D printed part keeps the hot zones out of reach and the ESPurna board safe and fixed behind it. The touch sensor is fixed tight in the back of the front plate. The two remaining cables are for the LED but I finally decided not to add it. This version of the 3D printed plate does not have the pegs to keep the front plate in place, so I decided to hot-glue the corners. It will be easy to remove and the final result is almost unnoticeable. 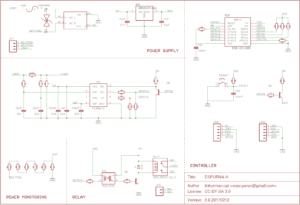 The ESPurna board, a smart wall switch with power monitoring by Tinkerman is licensed under a Creative Commons Attribution-ShareAlike 4.0 International License. Great job! Especially the touch sensor part is cool. Unfortunately my house has old style wiring meaning all switches don’t have a neutral line :(. Otherwise I could definitely use your board. For that reason I am designing a touch switch as well using an ESP8266 (so a WiFi switch). Do you have any plans to sell the complete board? Great job! at that size, it should just fit behind a standard UK switch too, as long as the wall box isn’t a shallow one. I think there’s a market for these, in the UK at least, since the only real option for retro-fit is zwave modules, and zwave is a lot of extra hassle. FYI: I would consider to get up to 8 or 10 units (finished product) that I could easily install to replace the standard switches (in a Spanish house). I feel comfortable with the software part (using home-assistant here in a raspberry pi with mosquitto MQTT) but I’m not used to solder things. Anyway, if you don’t manage to get a final product, thanks for sharing and kudos for this nice project! Right now it’s not my intention to sell it a a finished product. 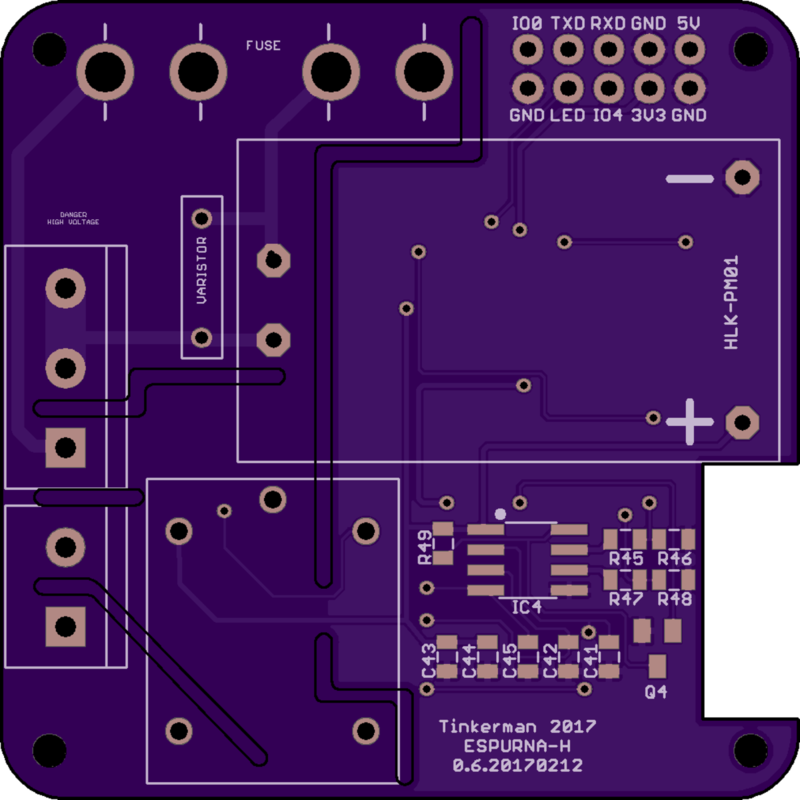 Maybe as a kit or only the PCB with the small SMD parts soldered in place. I’m trying to get some quotes from PCBA services. That’s a wonderful job and thank you for sharing ! Did you do all the weldings yourself ? 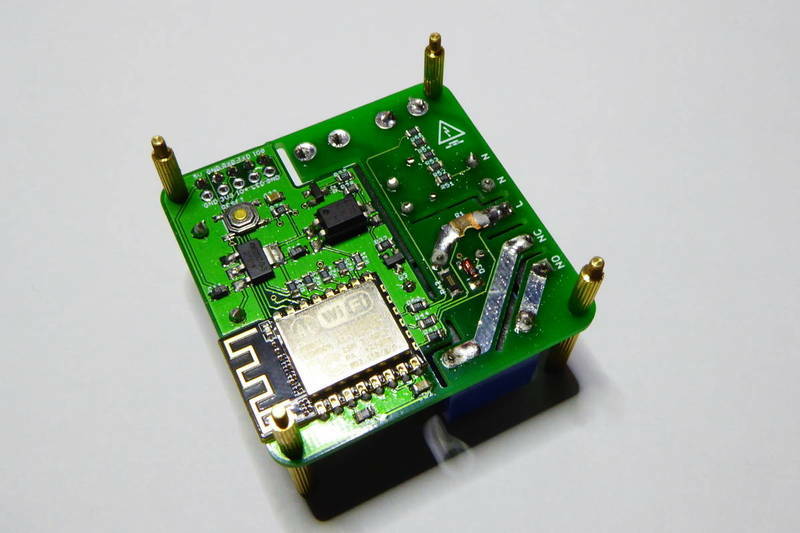 The wemos d1 mini lvdo seems better than the ams1117 Reading its reviews… Do you think it’s interchangeable? I have some doubts that the wires on your photos are sufficiently thick for 10 A current? That’s a good question. I don’t have my computer with me right now but if I recall correctly those traces are 120 millis width. I think that’s ok for 10A if you use 2oz/ft2 copper thickness. Else you can always add extra tin (the traces are exposed). I wrote about “wires” (20170406_162459s.jpg), coloured red, yellow etc. and not about the printed circuit. 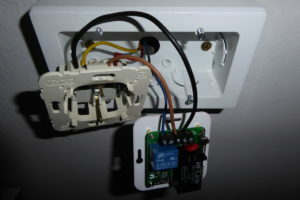 That switch in particular controls an LED ceiling bulb so the board is switching a few watts load. But you are right, the blue wire there is maybe 1mm diameter so it can handle about 2A. not sure if this is the right place but, I’m trying to replicate the circuit with a board I ordered via OSHPark but I can’t find easily the 0.001ohm 2512 resistor (only from China which takes 45 days for me); any chance I can use a 0.01ohm 2512 (which I can source locally) adapting somehow the cricuit/sketch? You can easily adapt the code to use a different shunt resistor value, just modify the POW_CURRENT_R setting in the ‘code/espurna/config/sensors.h’ file or use auto calibration if you are using ESPurna or my HLW8012 library. But changing the resistor has other consequences you have to be aware. First, the HLW8012 has a limit on the current measurement pins of 30.94mV RMS (https://tinkerman.cat/hlw8012-ic-new-sonoff-pow/). With a 10mOhm shunt you won’t be able to measure currents higher than 3A. On the other hand it also increases your precision. Also, a ten times bigger shunt dissipates ten times more power (P=I*I*R), but with a limit of 3A that’s 90mW. Last day, i try to design same size, use nearly same parts for nrf52x ble, for Apple homekit device. Good work. 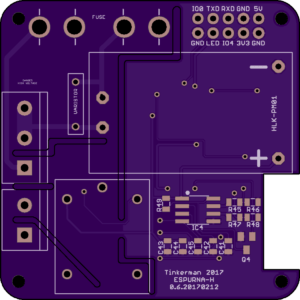 The pour that extends under R42, R43, and R44 means you are effectively relying on the solder mask to provide isolation. It would probably be good to pull the pour back from those resistors. Good catch. I will remove it in next iteration. Thank you! Am I correct in seeing that GPIO16 is still available for use? That’s right. GPIO16 is not used. Maybe that could be used for the espurna sensor connection? 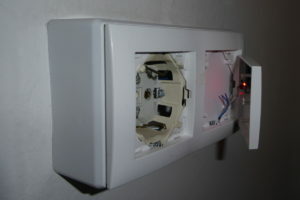 Adding a PIR or Light sensor would round this out beautifully for replacing wall switches. Sure! Please note you also have GPIO4 in the header already available. GPIO 4 is for the input switch right? Right. I added a couple of VCC and GND pins to its side. I normally use it with touch button modules like the one in the post. But you can use it with normal push buttons or wall switches. Maybe you could use the ACS712 to avoid having the connection between mains and MCU domains? Actually that’s what I plan to do. 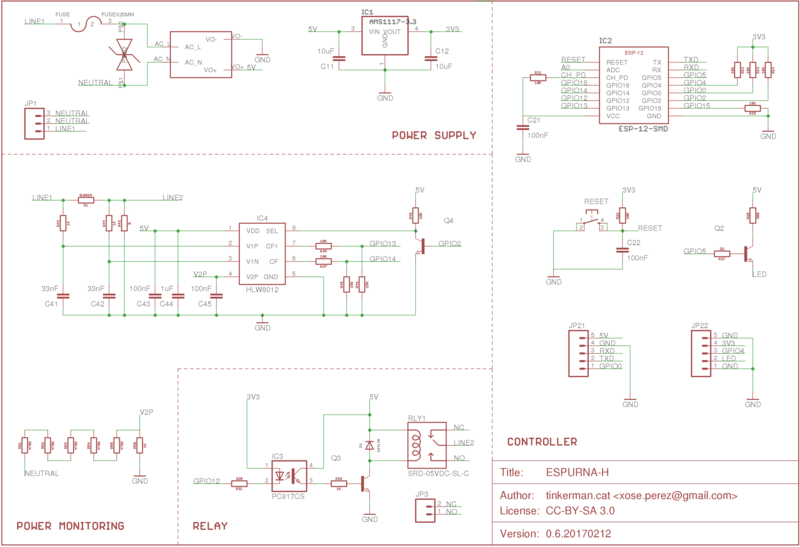 The ESPurna-H board uses HLW8012 but I want to do another version (ESPurna-A) with the ACS712. It will probably only do current sensing but isolation could be a plus. Might be interesting to test using two ACS712, one for current and the other for voltage (just using a resistors ladder, like the one used for HLW8012, but no need for the last 1k). Probably the SNR will be quite low, but it’s probably worth testing. Is this ready to sell kind of product? Did you tested it? If yes.. can you please let me know problems you are facing by using it. I’m not planning to sell this in any way. It would probably not pass any certification in most countries. This is a “makers” project and anyone using it should know about what she’s doing. It’s ASIS. When are you planning to update this? Are you planning to update espurna framework to 1.8 anytime soon? Hi, first of all, I must say, it’s very nice project (and something I’m looking for), very good work, and thank you for sharing! Thanks! Well, shunts that’s what they are for. A 1W / 0.001Ohm shunt has a current rating of (I=sqrt(W/R)) aprox 30A. Hi, very nice project. For a long time i was looking for something like this. I have some question related to 10A relay, that current rate is for resistive loads right ? If we have other types of loads (incandescent or fluorescent lamp) it can handle really less current. And about temperature raise inside wall ? Should the fuse be replace with some kind of thermal fuse ? I was wondering though, in the circuit your R42 is zero ohm basically a wire bridge. Doesnt that make R44 and C42 redundant? The HLW8012 required the line to be tied to ground, that resistor is a jumper like you say. It’s there in case you don’t need all the power consumption circuitry, you can leave this out too. Hi, I see you updated the board and removed the opto, what was the reason for this? 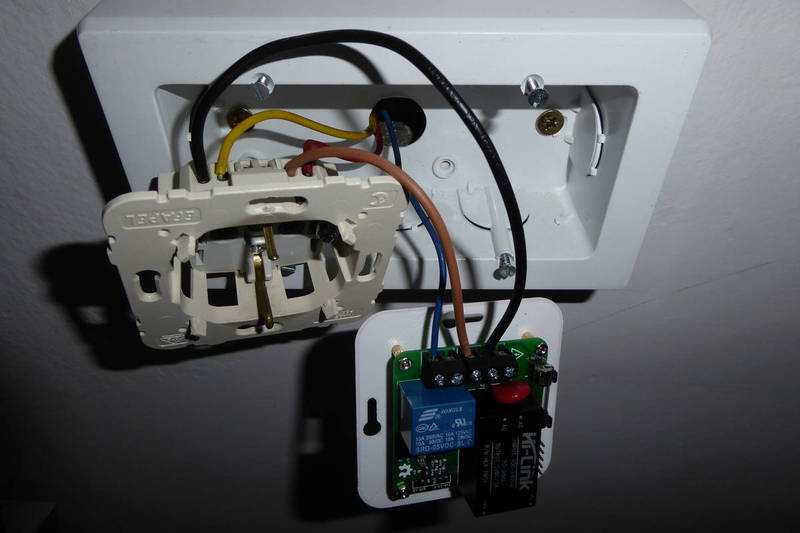 Apart from the light switches (some single, some double) I have lots of dual switches for my window shutters … any chance of seeing a parts list for a dual switch that will fit the same measurements? it would be quite simple to replace the current relay with two SSR. They give you slightly more flexibility (you can have both ON or OFF) at the price of supporting smaller loads in general. ESPurna firmware already supports several sync mdoes, including “zero or one relays on” and “one and only one relay on” which could fit your needs. hi, a really great project. 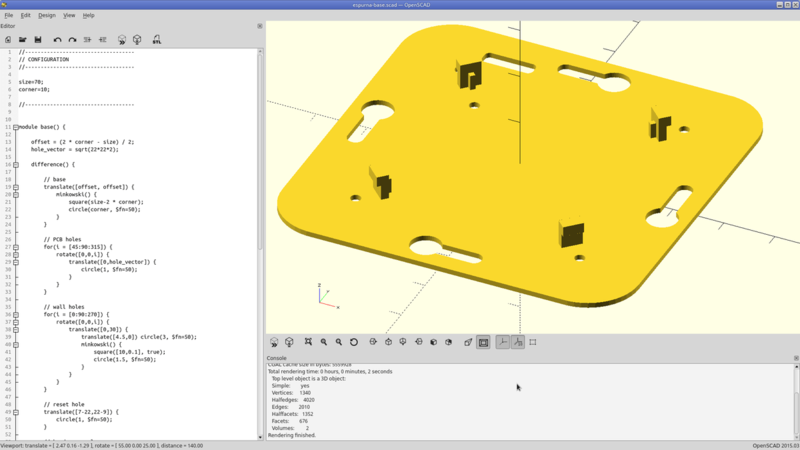 That’s why I ordered all parts for the current version 0.8. But have the problem that the thermal fuse is too large and the holes in the planine are too small. I enlarged the holes a little and soldered them. As a result, I destroyed three fuses as they became too warm when soldered. I once ordered a small thermal fuse, let’s see how they fit. If it works, I will send the model number. I noticed something else. The varistor I ordered via your aliexpress link, unfortunately, this burns when directly through. I have now installed this EPCOS B72210S0271K101 and the works. 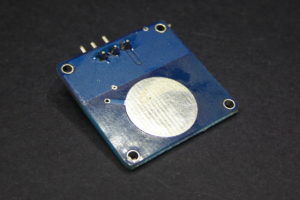 Does the esp have any more GPIO left , i want to add a RFID reader to the same. How many GPIOs does it need? 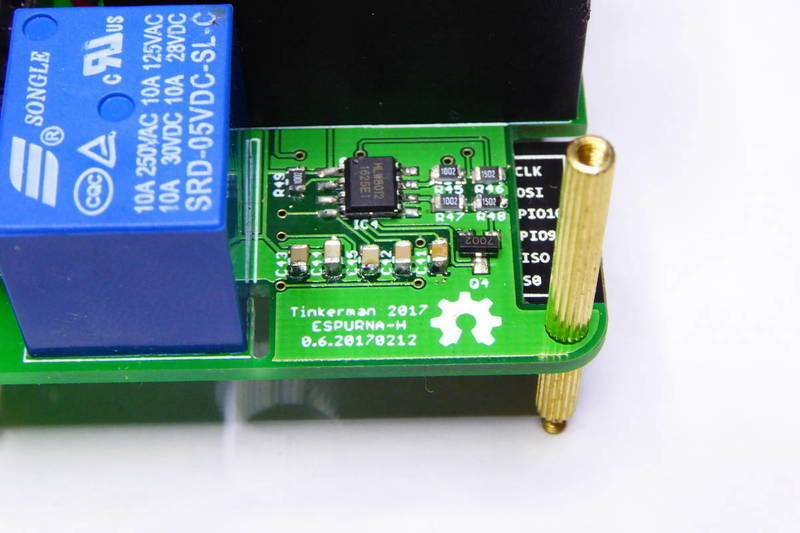 The board exposes one raw digital pin but it could be easily modified to have two. Great job Tinker Man :)) I’am just wondering why two Neutral pin before the Varistor? Out of convenience. Since you have to wire a neutral line to the board to power it and get voltage readings you get a second neutral connected internally to get a neutral out too. This way you don’t have to add an external jumper. When are you planning to update espurna-H board to version ESPurna-A ? You have a great project!!! I wonder that what happen when i change the Line and Neutral . Will it Work? Yes, but you will want to place the relay on the line.